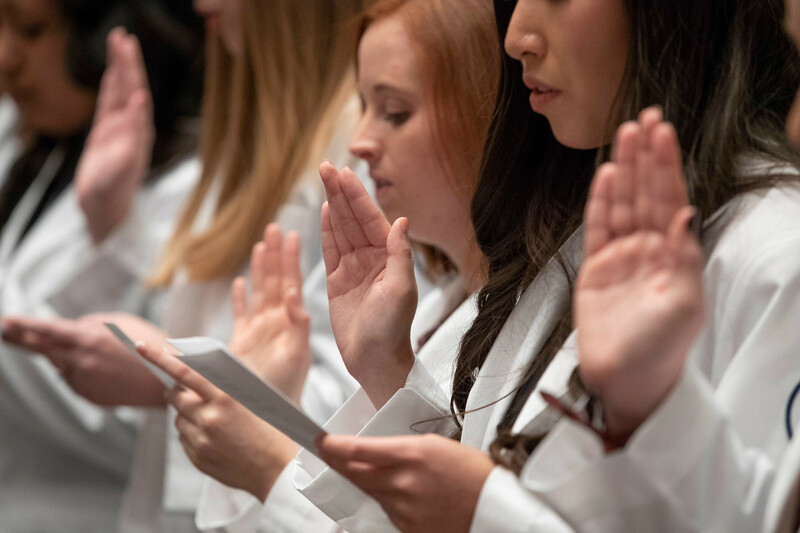 Belmont University’s College of Pharmacy first-year students,82 in total, received their white coats on January 11, a practice that symbolizes their transition into pharmacy practice experiences in institutional and community settings. 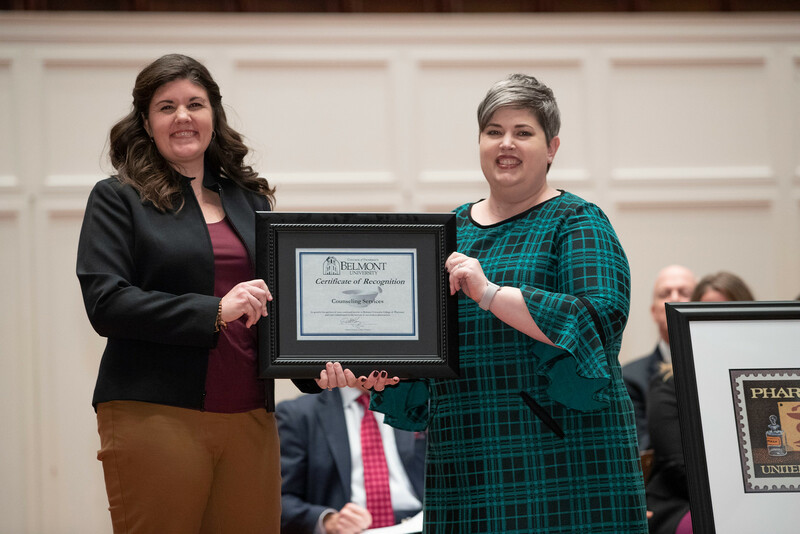 The Tyler Duke family received the Friend of the College Award in recognition of their sustained support through the Tyler Duke Endowed Scholarship and support of student missions. Dr. Condit Steil, professor of pharmacy, received the Professional Stewardship Award which recognizes a health care professional who has answered the call to service that comes with professional standing in the community. 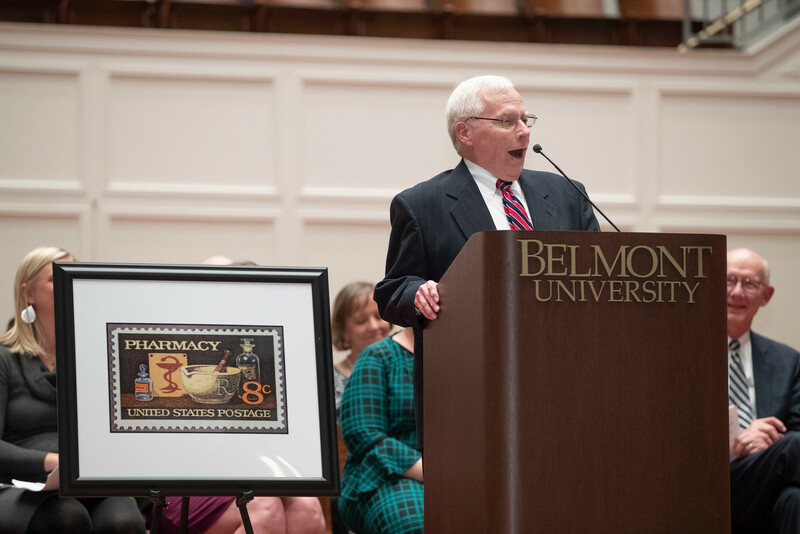 The Being Belmont Award is given each year to a person or entity that has exemplified what it means to uphold the values of the University and has benefitted students and the pharmacy program. 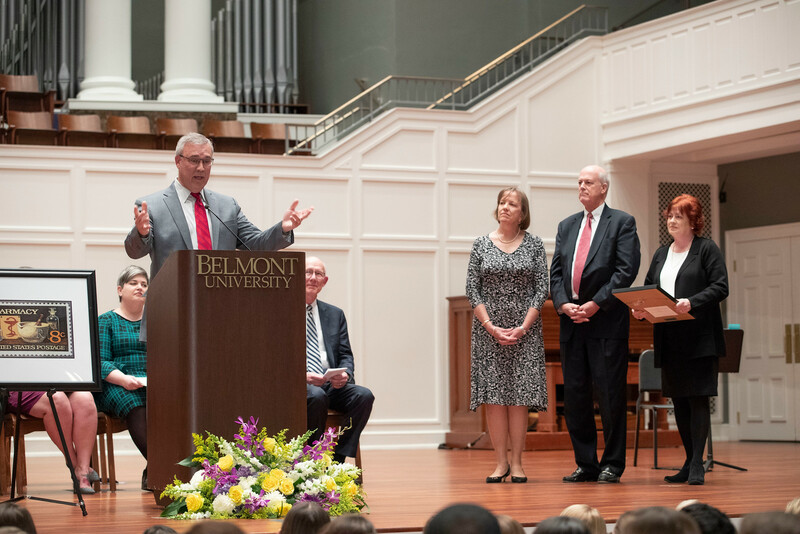 Belmont’s Counseling Services received this year’s award.